I wasn’t entirely sure which record I was going to pick from a field of about three which were all clamouring for attention, until Rob’s choice started playing (this is a benefit of hosting; with your whole record collection to hand, you can change your mind). Hidden seemed like such a stark contrast to what went on first that I had to go with it (not that the other things I was thinking about selecting were any closer to Rob’s choice!). Hidden is a strange record. Coming barely 24 months after These New Puritans’ debut album, it’s a very different beast, and it seems like the band not only spent an awful lot of the time since their debut fastidiously arranging and recording Hidden, but that they also did a lot of learning and changing in that time. I can’t think of many other bands who have leapt so far from their debut to their second album. Because where Beat Pyramid was a decent collection of brief post-punk, post-dance slithers of guitar and occasional moments of dark ambience, Hidden steps out into bizarre territory, opening with an elegiac, Elgar-esque swell of mournful horns, and then moving through multi-part gothic-prog-pop compositions driven by massive, darkly reverberant Japanese Taiko drums, pumping hip-hop and dance beats, and barrages of synths and samples. There’s barely any guitar, vocals are muttered or chanted rather than sung, and the whole thing is recorded, mixed, and mastered to eliminate distortion and maximise dynamic impact, making it sound disorienting, otherworldly, and out-of-time compared to the usual pumped-up, distorted mess of modern mainstream pop, dance, and rock (and quite a big chunk of alternative music, too). I was delighted to see NME name Hidden their album of the year for 2010; after a decade of safe, trendy, post-Strokes choices, it seems like the bravest pick since Spiritualized in 1997. And in fact I think Hidden, skipping from M.I.A. to Talk Talk to Prodigy to colliery bands to Squeeze (singer and composer Jack Barnett sounds a little like Chris Difford), is just as much a masterpiece as Ladies And Gentlemen We Are Floating In Space. Partly this is down to the overall atmosphere of the album, conveyed in part by Barnett’s mysterious, conspiracy-theory-laden vocals (which you could almost sum-up as “I get up when I want, except on Wednesdays, when I get rudely awakened by the Taliban” in terms of delivery), but mostly it’s due to the music. Percussion dominates the album, those massive, ominous Taiko drums, massed rimshots, pumping dance beats, and a cornucopia of other things being hit with sticks; it’s exhilarating, but also disconcerting, especially when a M.I.A.-inspired, chanting, digitalist modern pop song like Fire-Power is slowly subsumed by plaintive brass. I think Hidden is an awesome record. 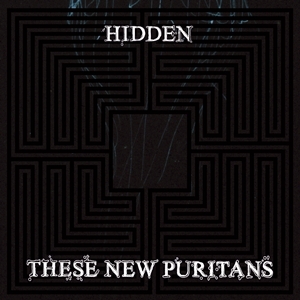 Rob listened: I bought ‘Hidden’ after NME gave it the top slot last year, and I like it a lot. In recent years I’ve fallen into a lazy sense that British alternative music is indie-landfill, despite loving stuff from Art Brut through Mogwai to Wild Beasts. It’s great to have that up-ended and to hear a band I had assumed would sound like Fields of the Nephilim (bad type-face guys) sounding so much like ‘Flowers of Romance’-era Public Image Limited. Both Tom and Nick said they found ‘Hidden’ oppressive. I don’t get that at all. I find it enveloping, groovy and fun, to be honest, but perhaps that’s precisely because I bracket it somehow with PiL’s third album which it can’t match in terms of intensity. Anyway, a winner. Tom Listened: I have recently been listening to Lou Reed’s Berlin and John Martyn’s Grace and Danger. These are two of my favourite albums. On first listening I literally hated the sound of both! The songs were fine but Berlin’s theatrical production and Grace and Danger’s 80s synth cheese took considerable effort to see past. I say this because I had a similar experience listening to Hidden at DRC. Whereas I loved the sound of Bee Thousand, but I knew I would need to spend time with the songs (and am confident that I would quickly grow to see them as indispensable), Hidden’s dark and ominous (for me, if not Rob) sound made me feel disorientated and unsettled. It could very well be that, with time, I would grow to accept, then embrace, then love this album (just as I have Berlin and Grace and Danger) and I was impressed by its originality and the fact that it could induce such a strong response in me. However, I think, of the two, I’ll be purchasing Bee Thousand first.